If you are wondering why I haven’t use Beetroot yet… Here you go!!! I am a super Beet lover! I love adding them in my juices and salads… They have a natural sweetness and is so full of flavour! Nevertheless, it is not going to stop me from including it in my smoothies! Here comes the amazing ingredients! Consists of natural Nitrates which help increase Nitric oxide in the blood vessels and in turn, helps open up the vessels, enhances blood flow and eventually, helps to lower blood pressure. (These Nitrates are not the same as the ones from hotdogs and cured meats). A study was published to show that drinking Beet juice helps to lower blood pressure. However, there are also articles like this, which have an alternate opinion. Do read up if you are interested to find out more. 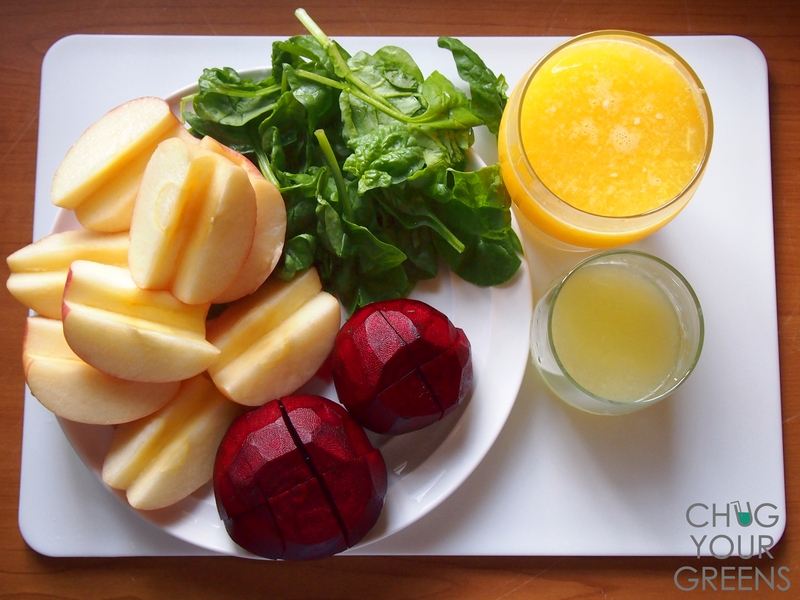 Gives a boost of energy and stamina so it’s good to have some beet juice in the mornings. This is because it has high contents of Sugar which is released slowly into the body. Contains mineral Silica, which helps the body to utilise Calcium, thus reducing the risk of osteoporosis. This smoothie tastes simply delicious and is definitely a great detox drink. If you are not a regular Beet eater, then perhaps you would just use 1 small Beetroot. It does have an acquired (earthy) taste that can be prominent if you used too much. Beet greens are very nutritious too but I seldom see them in our local Supermarkets. If you do come across Beet greens, include them in your smoothies! Do note that people who tends to have oxalate kidney stones might want to reduce drinking Beet juice because it contains high amounts of Oxalates. How many of you are Beet lovers? 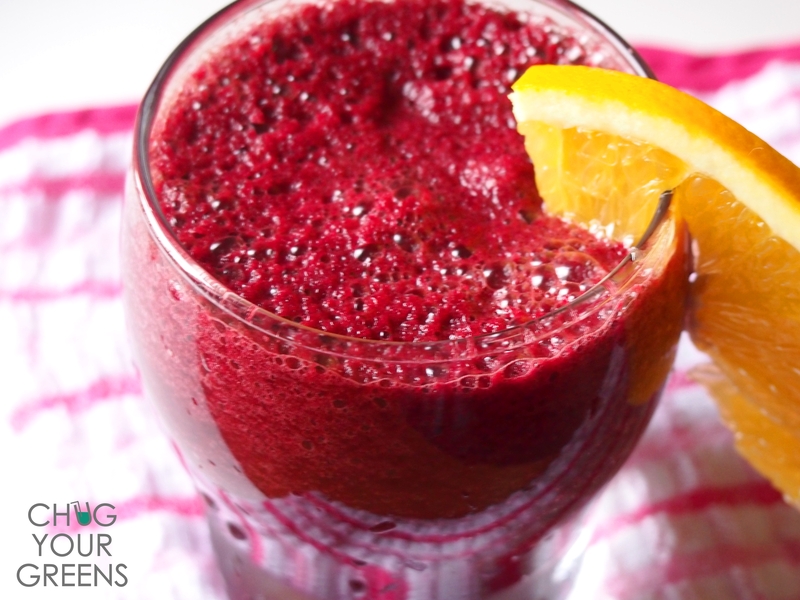 Do share with me what other fruits you like to juice with your Beets… I would love to try out more recipes. Thanks in advance! Oh this looks amazing! Can’t wait to try! Looks delicious, I am looking forward to making this for my family. I too LOVE beets, my 7 month old had beet puree this morning and he seemed to love it as well. I enjoy blending them with oranges, awesome mixture.